However, just because it is difficult does not mean it’s impossible. There are a number of different ways to help you gain an advantage over these predators so that you can be more successful in hunting them. One of these methods is to use a predator call. If you are a real expert, you might be able to do this with your own voice, but the vast majority of us do not possess this rare skill and therefore must rely on technology to do this job for us. This is why predator calls were invented and this is what we are going to be reviewing in this article. The different products available all vary slightly and offer their own unique set of advantages and disadvantages so we are going to discuss what to look for and then compare some of the top available options. Hopefully, when you finish reading this article you will have a better idea as to which is the best predator call for you and this will help you be a more successful hunter. How to Use A Predator Call? As mentioned earlier, hunting predators is no small task. There is a lot more to it than simply purchasing a predator call and then heading out to hunt. This type of thinking will most likely leave you disappointed and frustrated at your skills as a hunter. 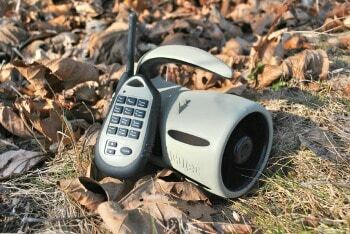 So, we are going to take a look at some key things that need to be considered when using a predator call so that we can make the most of whichever predator call we choose. The type of animal you are going to be going after will impact significantly which predator call you should go for. Some predators respond better to mating calls others to the sounds of distressed prey and others to combinations of different sounds. Knowing what the animal you will be hunting is most likely to respond to is a key component that should be considered as you explore the different options available on the market. Many of the options on the list that we are reviewing here will offer some combination of these calls, but it is important that you know which one will be most effective for the type of hunting you are doing to make sure that whatever you go with will be helpful. Also, an important tip to consider when thinking about the type of call that you might want to use is that you should always vary the call that you use. Do not simply repeat the same sound over and over again; the animal will likely suspect that something is amiss. Instead, try to switch between different combinations and pay attention to which ones are more successful than others to be able to replicate them in other situations. 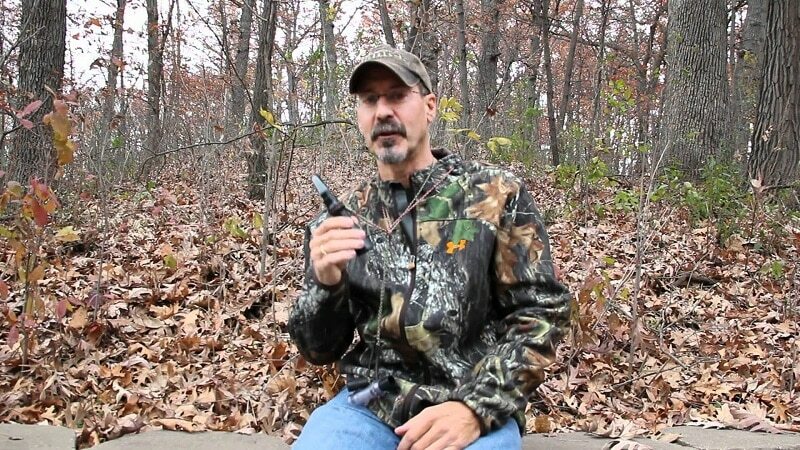 Another key thing to consider when setting out to use a predator call is the area that you will be hunting in. Many predators are territorial and will, therefore, be found only in certain areas. Knowing where these are will give you a huge advantage and make your calls much more effective. However, it is important to learn which sounds are more effective when you are in the predator’s territory. For example, perhaps a distress call inside the territory would fall on deaf ears because other predators would know that the danger is not real. Much of this knowledge will come with experience and with trying out different methods. Before you head out for a hunt practice your calls and the sequence in which you are going to use them. These predators are very smart and any mistake that reveals you as an imposter will be noticed quickly and will cost you the chance at a successful hunt. After you do your research and have a good idea of how you are going to use your predator call, practice a few times to make sure you have it down. This will make you more effective in the field and will increase the chances of a successful hunt. Now that we have gone over some techniques and things to think about when using a predator call, let’s take a look at some more specific features of the products we will be reviewing to have a basis for comparison. This is always an important thing to consider when purchasing something that you are going to be carrying with you. The general rule of thumb is the smaller the better so that you aren’t weighed down unnecessarily. However, in this case, there could be an argument for going for something larger. Typically the smaller the device the less amplification it will have and this will decrease its range. Bigger devices might be able to produce more sound but will be bulkier and less comfortable to carry around. Ultimately, it will depend on what it is you are willing to carry and what your needs are. Once you understand this you will be able to get a better idea of how big you would like your predator call to be. When predator calls first came onto the market they worked by having the user punch in certain codes that corresponded with the type of call that they were trying to make. This was useful in the sense that it allowed for lots of customization, but it also proved to be a little bit difficult to use because it required the user to either memorize the different sound codes or to carry around the list (you can imagine how this would be undesirable.). Nowadays, few predator calls use this type of technology and many come with preprogrammed sounds that can be produced by simply pressing one or two buttons. This does come with fewer options but is much easier to use. There are even some options available that work on Bluetooth which allows the use to choose between seemingly endless sound options. Also, you may find some devices that actually hook up to a computer through a USB port so that you can download custom sounds that you create or find online. The way in which you choose the sounds your predator call makes will be a big part of how you use the product and is something to seriously consider before making a purchase. Replaceable batteries. This might seem old school, but they actually offer a distinct advantage. 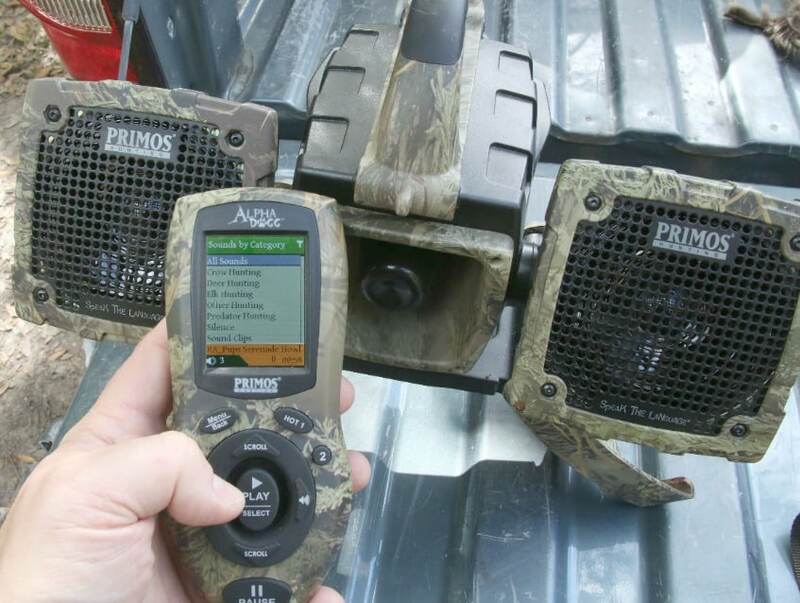 If you are out on the hunt and your predator call dies, you simply replace the batteries and you’re back up and running. This can’t be done with rechargeable batteries. Rechargeable battery. The obvious advantage here is that you don’t need to keep buying and replacing batteries, but if your device dies and you don’t have a portable charger, your day hunting might end earlier than you would like. Battery life is also something to consider. 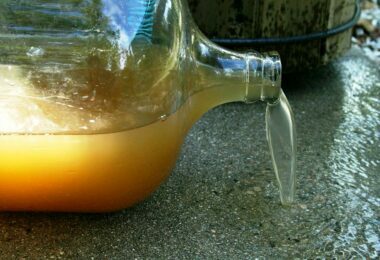 You want something that will last you a long enough time so that you don’t have to worry about running out of juice before you are ready to go home. 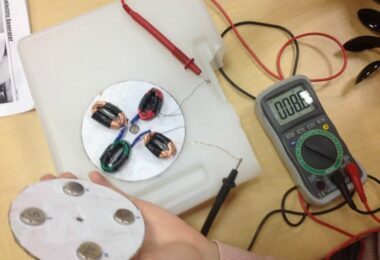 See our article on solar-powered battery chargers to juice up your gadgets for more information. Another important factor to consider when choosing which option is best for you is the range of the device, or how far away you can get from the speaker and still control it with the remote. Most calls will come with a remote control and an amplifier. You may want something that has a significant range so that you can leave the amplifier in one spot and continue to operate it while you roam around. 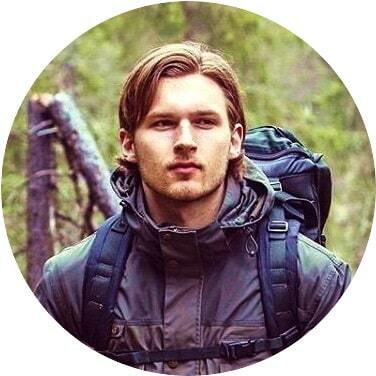 Also, you might not want to be standing right next to the source of the sound that is going to attract a predator so having a decent range is definitely a necessary component of your predator call. Typically, the larger the range the more you are going to pay, so this might be one of the main reasons driving your choice. However, be sure to not limit yourself because it could be less effective and in some situations, it could be more dangerous. Related somewhat to range, the amplification capabilities of your device are a key aspect to keep in mind. Some things that you should keep an eye out for are not only how loud it gets, but also how much control you have over the volume. Different situations will call for different sound levels and it might be nice to have a lot of control over this. Some calls will have preset volume settings that will be more exact but will give you less control, whereas others will allow you to customize the level to exactly what you want. Also, some calls are simply louder than others and this makes them more effective over a wider range. Think about what your needs are before making a choice; again, louder and more control seems to be much better options, but usage and price will play a role in how important this is to you. With all of the information under our belts, we are starting to get an idea of what to look for when searching for a predator call. Now, let’s take this information and apply it to the different options available on the market to compare them and help determine which might be the best option for you. Description: This is a nice option because of how many different calls it can produce. Extreme Dimension Wildlife Calls does this through the use of Bluetooth and the corresponding app, which can be downloaded for free when the call is purchased. It is a relatively small device that can be transported easily almost anywhere, but with the capability of emitting 115 decibels of sound, it is plenty loud enough. It has a pretty significant range of 50 yards so you can be free to roam around the area while you attempt to attract predators. One thing to consider is that it requires 4 C-sized batteries. These can be a bit expensive and combined inside the speaker can make it a bit heavier. 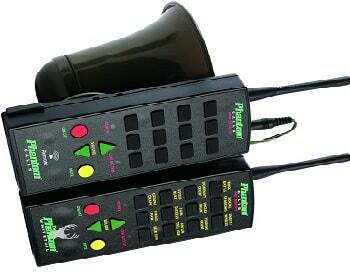 But all in all, this is a very versatile and practical predator call for a wide range of uses. Description: One of the things that helps make this ICOtec GC300 – Call of the Wild Electronic Game Call stand out is its whopping 300 yard range. The fact that you can leave it and walk as much as three football fields away from it will be a huge advantage for when you are predator hunting. This will allow you to truly hide away and keep yourself out of sight of any predators that come into the area, which will make the chance of a surprise more likely. However, this device is limited in the different types of calls it can produce. 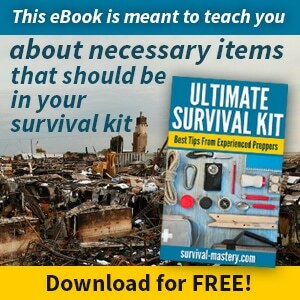 If you are going to be going after coyotes, foxes or bobcats, this might be enough. If you are looking for a wider range of species, this particular option might disappoint a little. Again, it depends on what it is you are looking to do with your predator call. Description: The thing that jumps out about this predator call is Extreme Dimension Wildlife Calls – Mini Phantom Speaker lower price tag. The reality is, though, that this savings means a real sacrifice in features. It is small, which makes it easy to carry around, but the amplifier is attached to the number pad and is really quite small. Additionally, if you wanted to get some more range or to amplify the sound, you would need to attach a chorded amplifier. This is a real nuisance when you are out on the hunt because it only allows you to get 25 feet away from the amplifier. This keeps you in close proximity to the sound, which as we mentioned earlier might not be the best thing. As a lightweight budget option, this product is very reasonable, but as anything else, it leaves a lot to be desired. 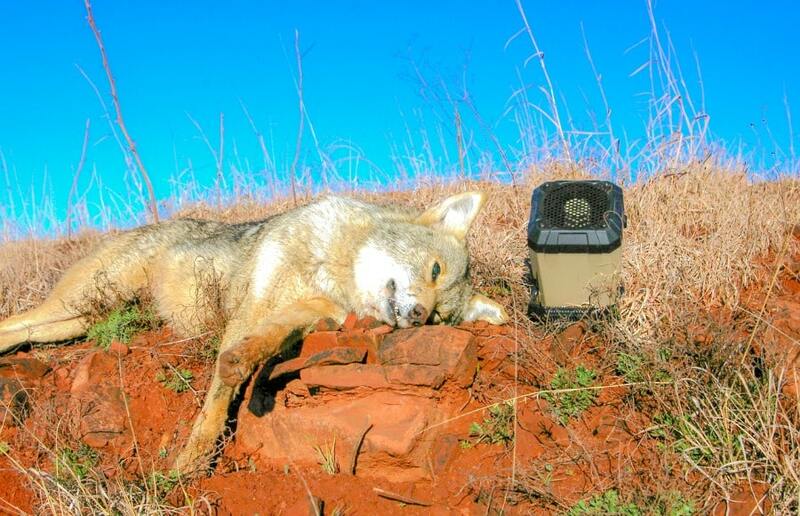 Description: This is a great product if you are looking to hunt coyotes. 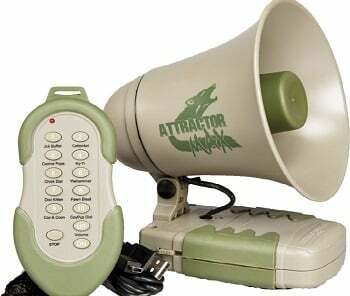 Johnny Stewart Predator Attractor MAX by Hunter’s Specialties has 10 preprogrammed sounds that are geared towards this objective, but it also has a USB port so that custom sounds can be downloaded in the event you are not satisfied with those that come standard. The range of this call is decent, 50 yards, but it is significantly smaller than some of the other options on this list. It runs on 4 AA batteries and this helps keep it lightweight and small so that it won’t be a burden to take with you on your hunting trips. 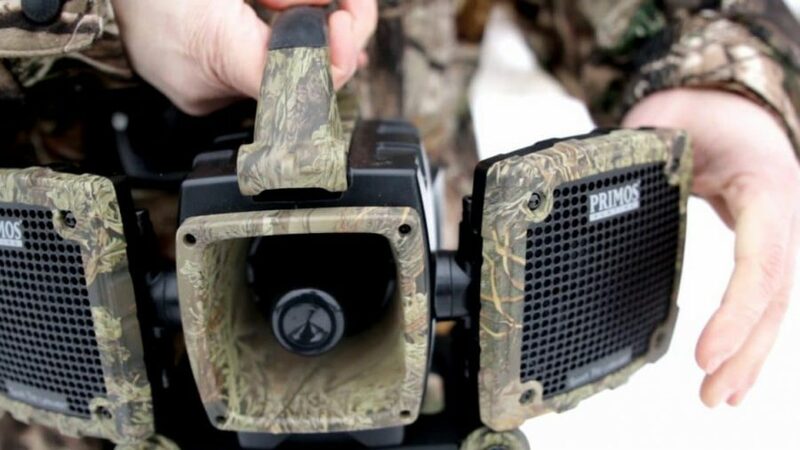 Lastly, the 10 watt speaker will make the calls plenty loud enough so that any predator in the vicinity will hear the call and start heading towards you. 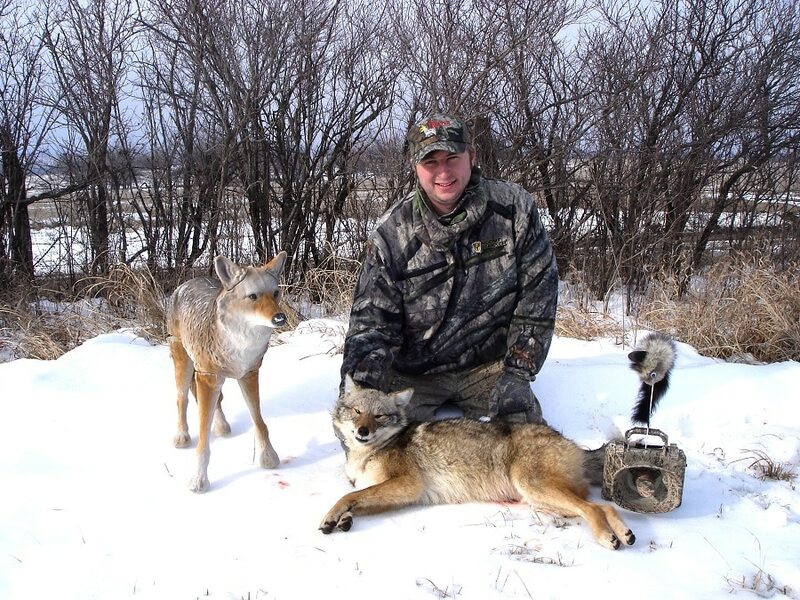 This is overall a very nice option for anyone looking to focus on coyote hunting. Description: This is a heavy duty option for anyone looking to hunt a few different types of predators. 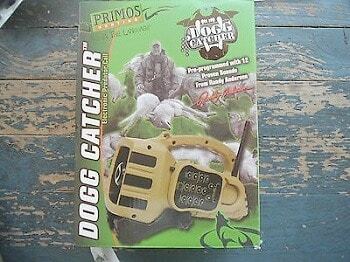 Primos Promos Dogg Catcher Electronic Predator Call is significantly heavier than the other options on this list and that is because it is made with the intention of being able to withstand all that Mother Nature can throw at it. 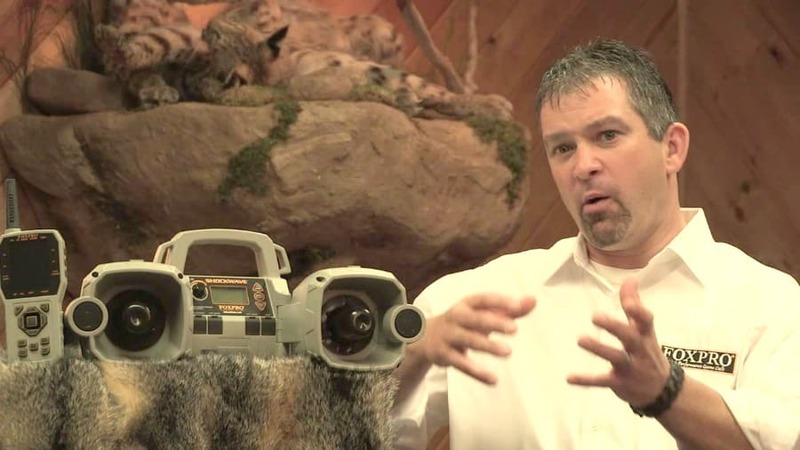 One nice thing about this predator call is that it allows you to play two sounds at one time so that you can imitate more genuine noises that might be more realistic and more likely to attract predators. 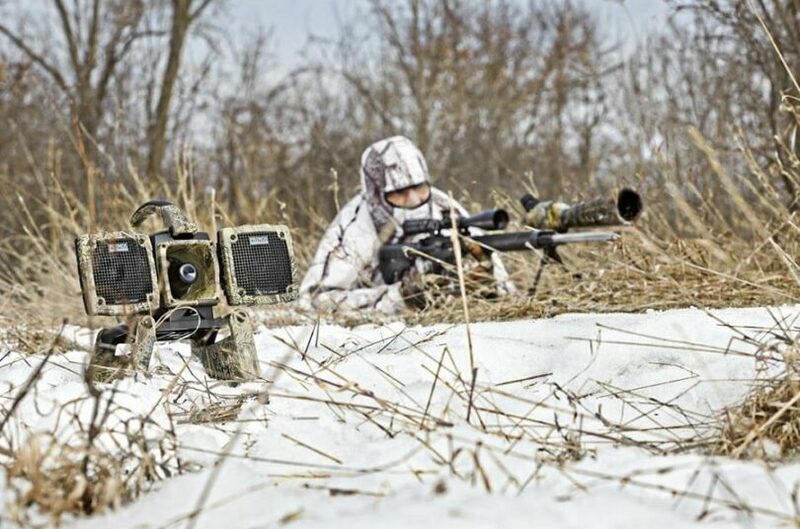 The range of this device is quite large, 150 yards, and this will give you ample freedom to roam around your hunting area to get the best angle or to investigate if there is anything nearby. All in all, this is quite a solid option, especially if you are looking for something that will not be affected by the elements and will last you for a significant period of time. Description: This one can do it all. Probably the most distinguishing aspect of this feature is the ability to customize it. 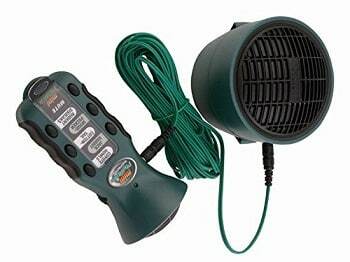 Primos Turbo Dogg Electronic Predator Call already comes with 36 sounds programmed, but if you want something more then you simply plug it into your computer and download whatever you want. It has a memory capacity that can store for to 500 sounds. Also, this predator call has a feature where you can set up a 20-minute cycle so you can start it and leave it while it works. It is the loudest option on this list as well with a 25 watt speaker. All of these extra features are reflected in the price, but if you think you might want the type of customization that it offers than perhaps it is worth it since it does come loaded with features. 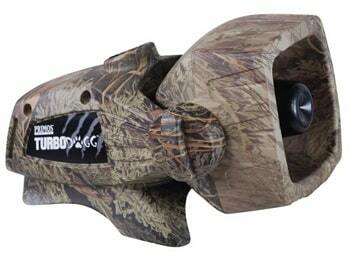 Description: This is a nice lightweight, coyote-specific predator call. Cass Creek – Nomad Predator Call – Electronic Predator Call only offers a handful of sounds that are specific to coyotes so if you are looking to go after a different predator you may want to look elsewhere. One thing to note though is that its range is only 100’ and the size of the speaker is quite small. This device would probably only really be effective if you knew you were already inside the predator’s territory. If you were unsure or were trying to draw it away from its typical area, this device probably would not be loud enough to get the job done. 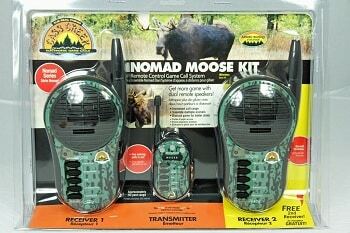 However, if you are looking for a small device to attract nearby coyotes this product could be great for you. If you are looking for something with more capabilities than you may want to check out some of the other options that have been reviewed. We’ve spent a great deal of time trying to find the best product that will attract predators, but which is the one that you are drawn to? Let us know what you think of the list and if you have had any experiences with any of the products that have been reviewed here. Don’t forget to check out our article on how to get a hunting license, you’re going to need it. In general, there is a lot to consider when purchasing a predator call from the type of predator to the type of battery. 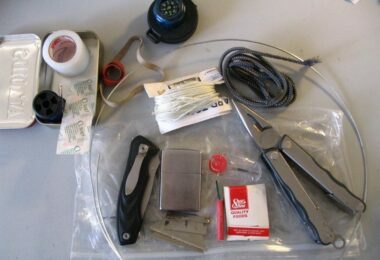 It is already hard enough to try and hunt predators, so it is essential you have all the available tools otherwise you will probably become a frustrated hunter very soon. Hopefully, the information provided here has been helpful. Now, get out there and do some hunting! For the best hunting gear, see our popular article on this topic before you head out to hunt.